[en] It is a return plan by business hours on the day of loan. 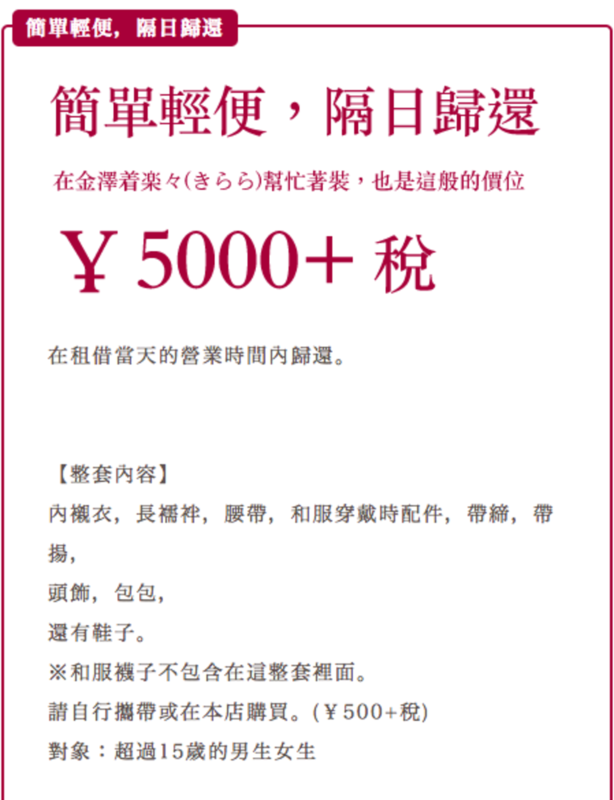 Including dressing 5000 yen (tax excluded)! 【set content 】 Underwear, long jibun, band, dressing accessories, Back, sandals and more. ※ Tabi is not included in the set. Please bring it with you or purchase it at the shop front. (500 yen + tax ~) Like clothes, feel free to wear it. 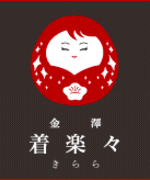 Doki Doki, exciting casual experience of exciting kimono, reasonable price. It is the best plan for those who would like to wear kimonos at once. 【Flow from reservation to lending of the day】 ※ Please be sure to let us know your schedule, number of people with a messenger. In case ① Please make a reservation 3 days in advance. Please make a reservation 3 days in advance on the day of loan. When making a reservation, please let us know the schedule of the day and the number of people, accommodation destination, desired options and so on. ② coming to the store Kanazawa's arrival is comfortable (Kirara) There are two shops in front of Higashi Chaya Street and the Omi-cho Market. It takes about 40 minutes to dress from kimono selection until departure from your store. 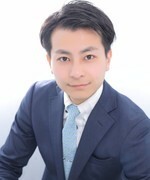 ③ Dressing & Accessories selection Specialist staff will help you from dressing to small items matching the season. If there are favorite accessories, you can also purchase on the spot. 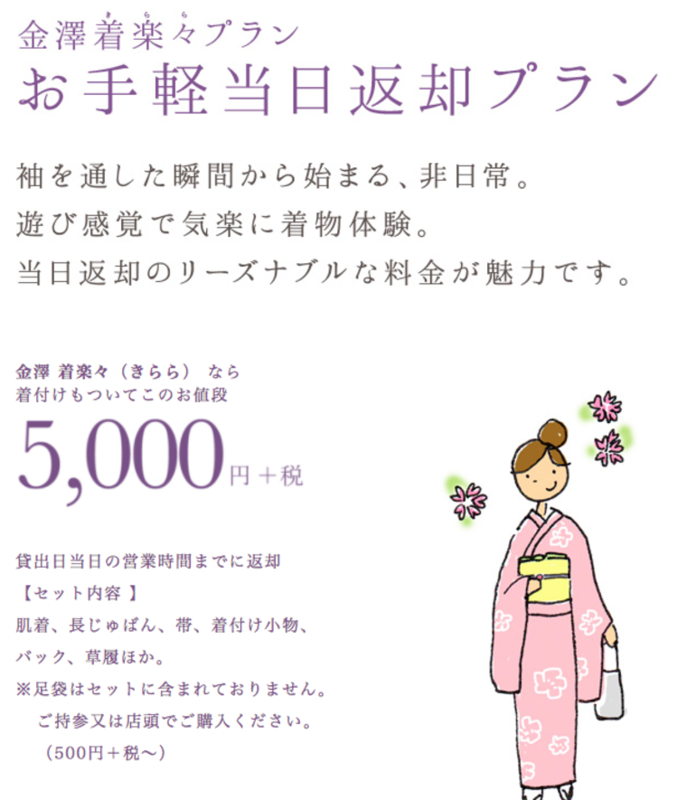 ④ Returning Kimono If you can fully enjoy the town of Kanazawa in kimono, please be sure to return by business hours. We can not respond to the store after business hours on that day. * When returning after business hours on that day If you can not return by business hours, please call the shop where you rented from the destination. 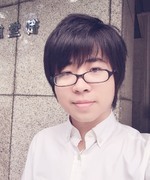 It is a return plan by business hours on the day of loan. Including dressing 5000 yen (tax excluded)! ※ Tabi is not included in the set. Please bring it with you or purchase it at the shop front. Like clothes, feel free to wear it. 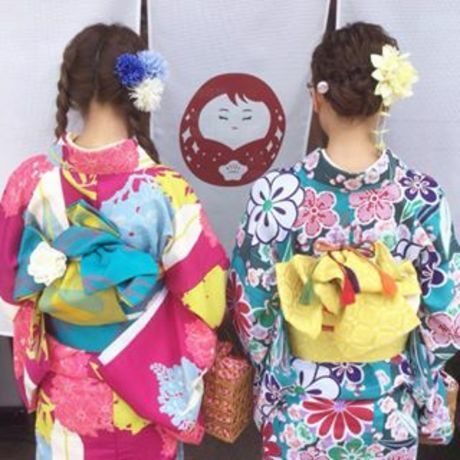 Doki Doki, exciting casual experience of exciting kimono, reasonable price. It is the best plan for those who would like to wear kimonos at once. ※ Please be sure to let us know your schedule, number of people with a messenger. ① Please make a reservation 3 days in advance. Please make a reservation 3 days in advance on the day of loan. When making a reservation, please let us know the schedule of the day and the number of people, accommodation destination, desired options and so on. Kanazawa's arrival is comfortable (Kirara) There are two shops in front of Higashi Chaya Street and the Omi-cho Market. 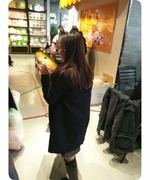 It takes about 40 minutes to dress from kimono selection until departure from your store. Specialist staff will help you from dressing to small items matching the season. If there are favorite accessories, you can also purchase on the spot. 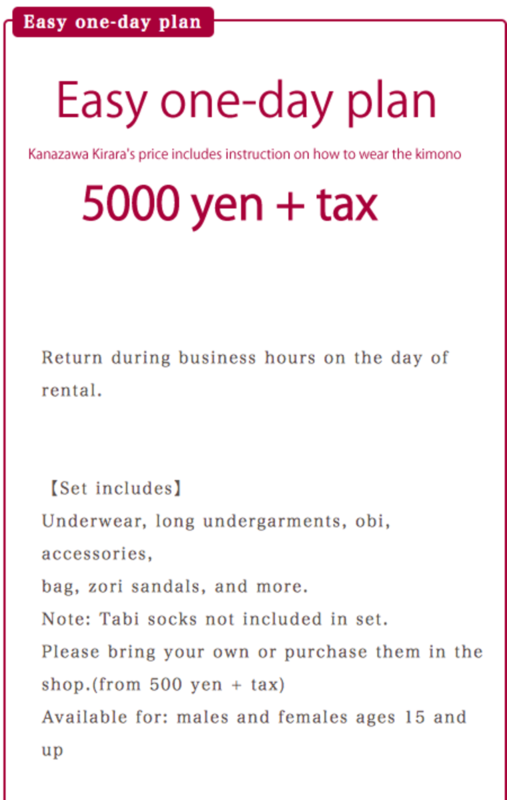 If you can fully enjoy the town of Kanazawa in kimono, please be sure to return by business hours. We can not respond to the store after business hours on that day. If you can not return by business hours, please call the shop where you rented from the destination.